Hey guys! If you hopped on over from The Cozy Home Chronicles then welcome! Are you inspired by her yet? because I sure am! Over here in my neck of the woods we are are also DIYing our way into Ramadan. 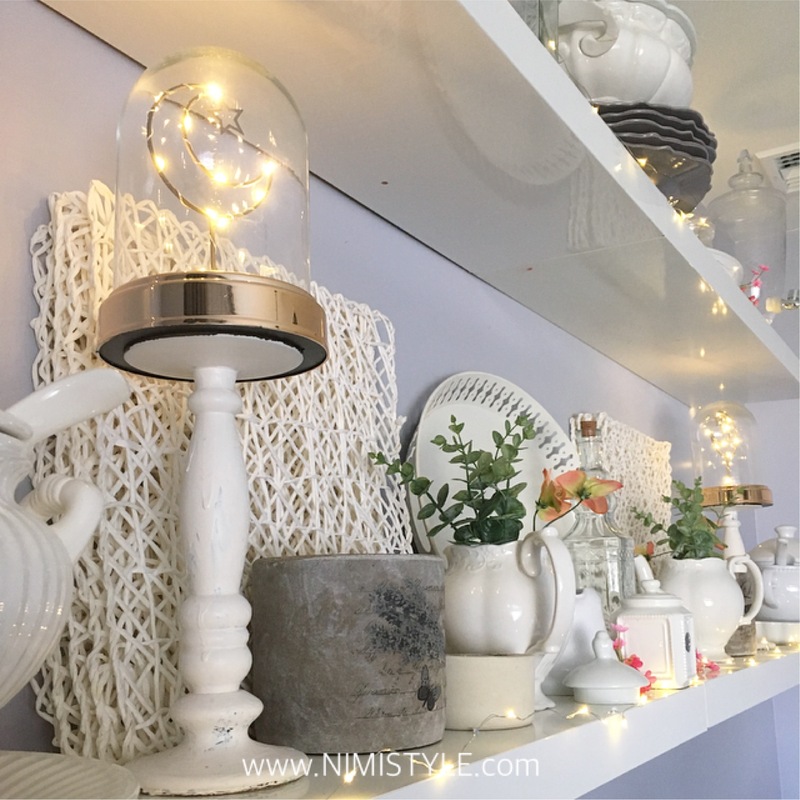 You can check out all I’ve been up to over on my Instagram and check out easy Ramadan DIY’s I’ve previously done. This year I’m looking forward to a month of spiritually growing, family bonding and the ever yummy food we are blessed with. This time of year we use our dining room a lot more then normal. Throughout the year it only gets used when we’re hosting a large crowd, otherwise on a daily basis we all eat and hangout in our family rooms breakfast nook. 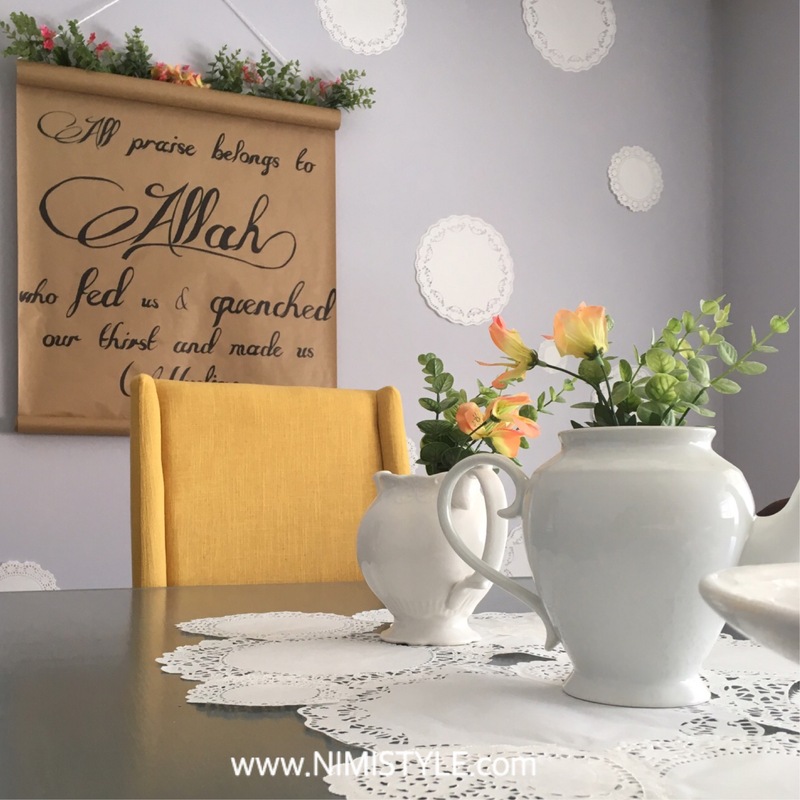 More use of the dining room will mean that’s more time I need to spend upkeeping it, especially with iftars that are filled with delicious oily foods and colored drinks that stain. 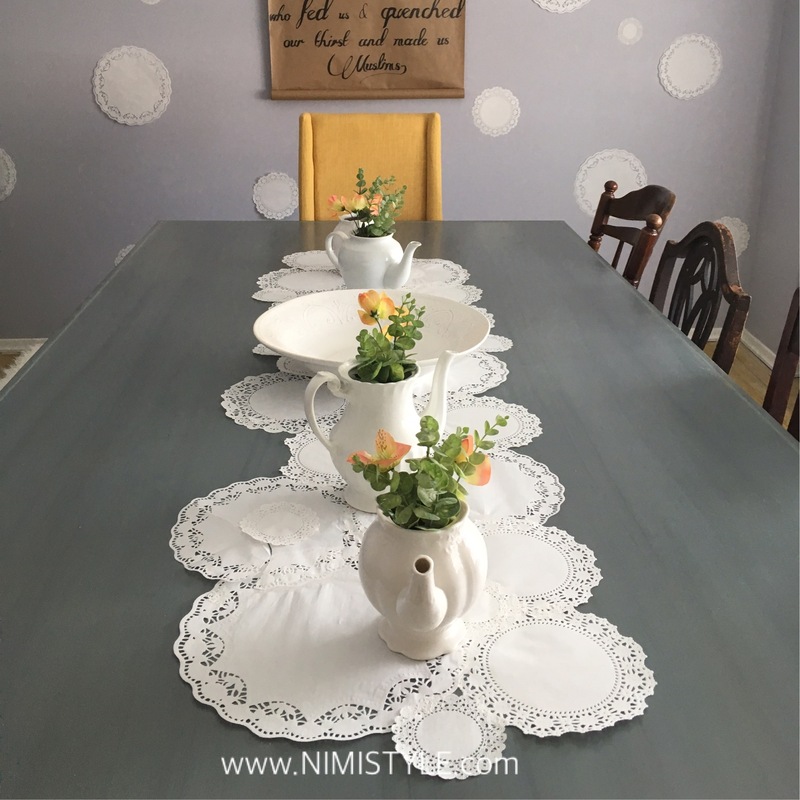 I still wanted to maintain an elegant festive environment without abusing my formal table runner. I wanted to be able to make the most of this month and not constantly worry about cleaning up, so what do I do? I DIYed the most used thing on the table-the table runner. 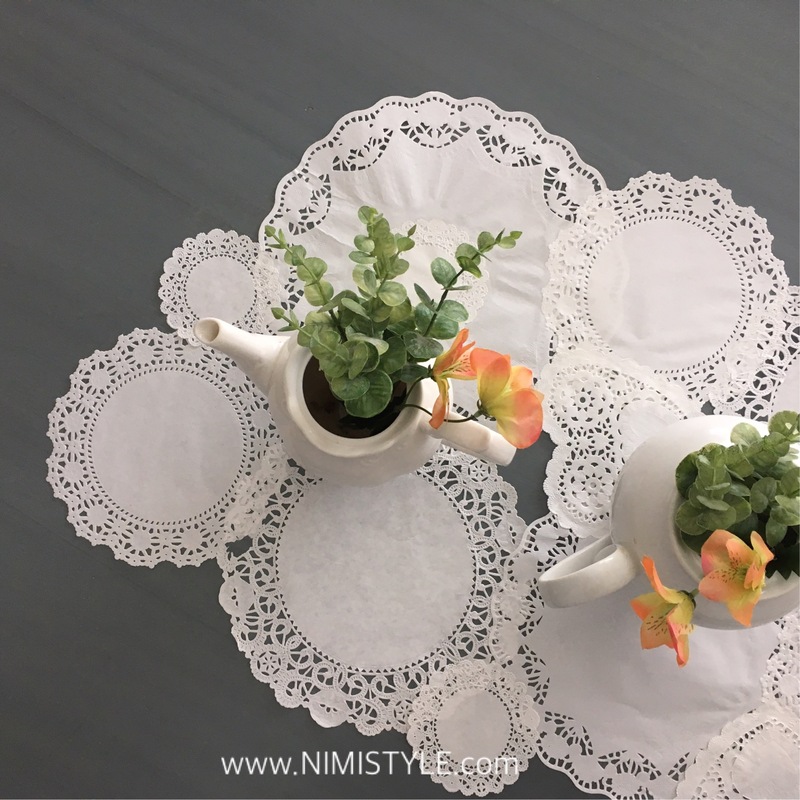 We will use the DIYed table runner for the month and use it well and then trash it when it’s been well loved! 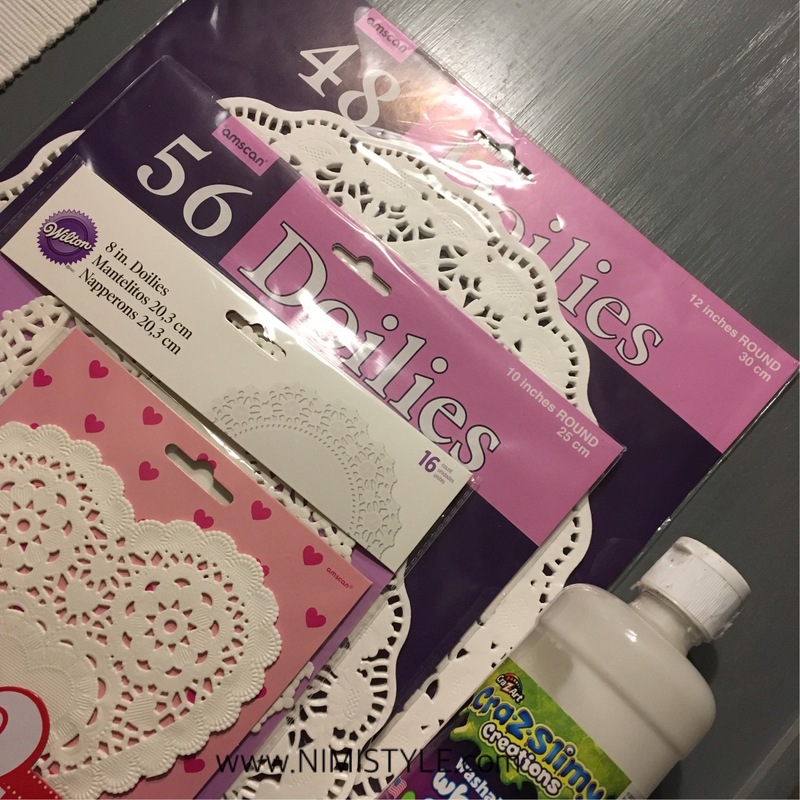 It was so easy to make and shopping my house to make it meant spending $0! 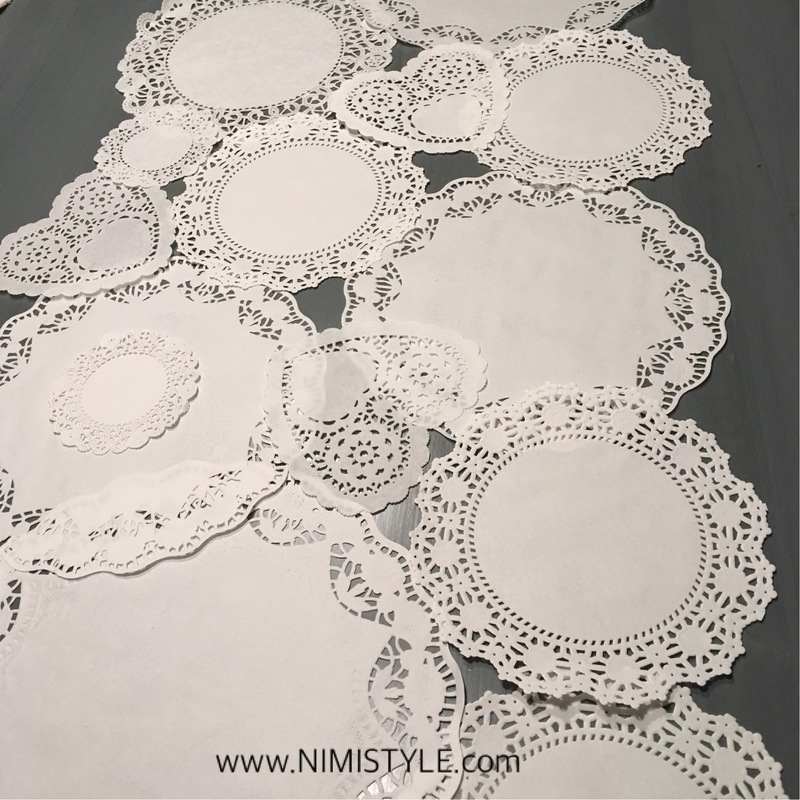 (1) Arrange the doilies on your dining table where the runner will go to make the correct size. 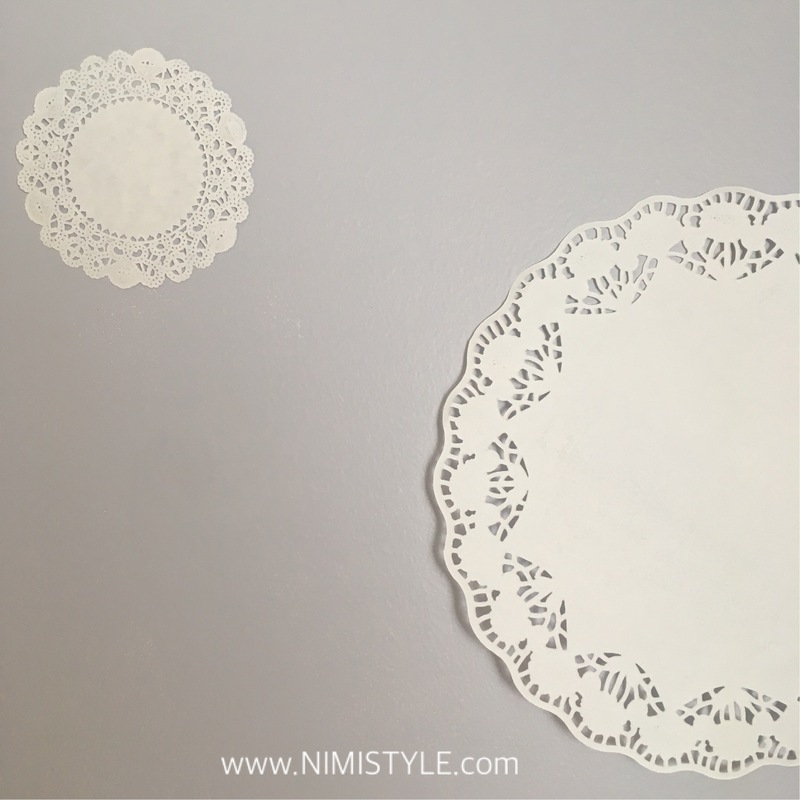 Play around with the placement of each doily until you’re satisfied with how it looks. Make sure it’s wide enough to house all that yummy food! (2) Glue down all areas that are overlapping. 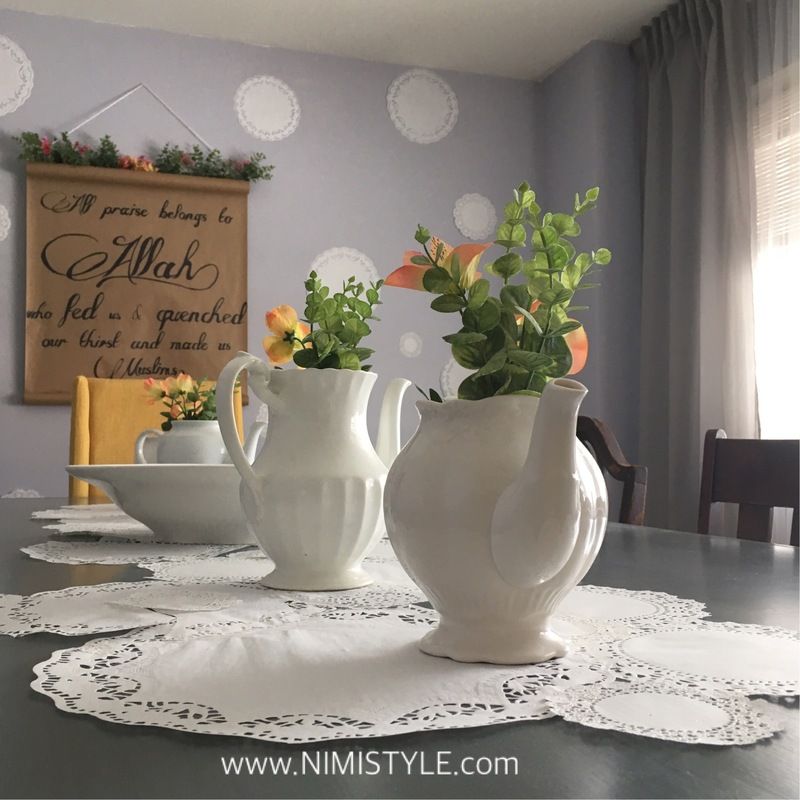 If you’re looking for more D.I.Y Ramadan decor inspiration that’s stunning with minimal effort then you’ll definitely want to head on over to my friend at Amna B. Interiors and see her work her D.I.Y magic! 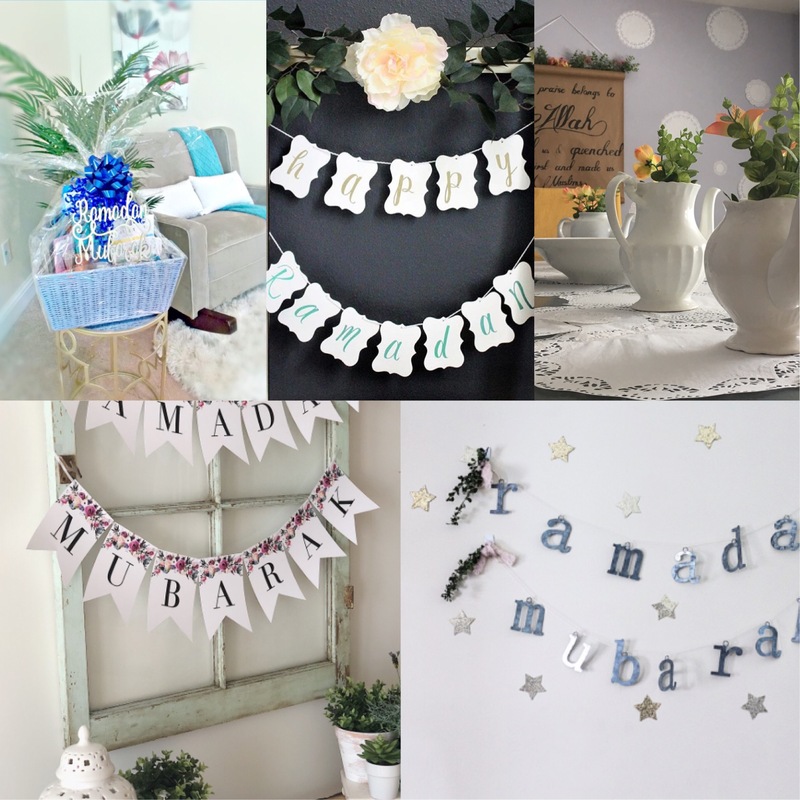 Also don’t forget to check out the rest of the stunning Ramadan D.I.Y’s in the ‘Our D.I.Y Ramadan’ Blog Hop linked below.